In Chapter 5's coverage of cross-promotional efforts, I briefly mentioned the use of iTunes affiliate links when sending users to the iTunes Store. For those of you unfamiliar with affiliate programs, the way it works is quite simple. Participating companies want to encourage software and web site owners to send traffic to their retail sites. As an incentive to do so, a small commission fee is earned for sales that are generated. This is tracked by using special URLs that include unique affiliate IDs. The commissions earned by an affiliate are based on a percentage of the sales that were derived by customers who came from that affiliate's links. Most bloggers and web site owners are very familiar with Amazon.com Associates, one of the oldest and most popular affiliate programs online. If your site visitors follow your affiliate link to Amazon.com and purchase products there, then you'll earn a commission on that sale (typically 4 percent or higher, depending on the products). Although there are thousands of affiliate programs out there, the one you should be most interested in is Apple's iTunes Affiliate Program. With the iTunes Store and the App Store built into every iPhone and iPod touch, it's so easy for apps to link to the store pages of music, movies, TV shows, audiobooks, and even other applications. Free Lite apps do it all the time, redirecting users to the full Paid version in the App Store, in the hopes they'll buy it. So, there's no lack of links here. Thousands of iPhone apps and their related web sites are chock full of links back to the iTunes Store and the App Store. What I find odd is that a large percentage of those links are not affiliate links. I'm constantly surprised by just how many iPhone developers still do not take advantage of this free revenue generating opportunity. Earning a 5 percent commission on digital items that may only be priced at 99 cents does not sound like a windfall of money, but just like low-priced app sales, this business model is all about volume. If you're sending app users or site visitors to the iTunes Store and Apple's making money from your links, why shouldn't you be compensated for the sales you're generating for them? It's hard enough to make money in the App Store if you're not in the Top 200, so why would you ignore an easy option to earn some extra cash? As a software business owner, you should be looking for any and all possible revenue streams that your iPhone app and web site can deliver for you (legitimately, of course). 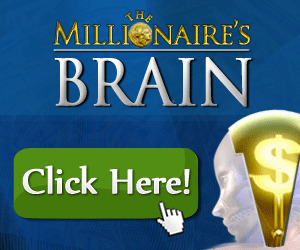 And in this case, all it requires you to do is sign up for the free affiliate program and modify your existing URLs. Pandora is one of the most beloved Internet radio services available online, and its Pandora iPhone app is a perennial favorite, resting atop the iTunes Top Free Music Apps chart for the last several months. Listeners who like the currently playing song can easily purchase that track by tapping the Buy from iTunes button (see Figure 6-16). 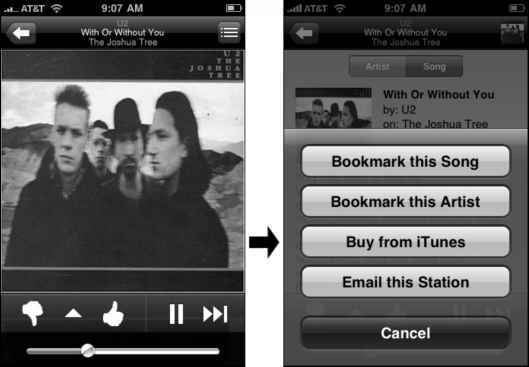 The button uses an affiliate link to send the user to the related song page in iTunes. If the track gets purchased by that user, then Pandora earns a commission fee. Figure 6-16. The Pandora Internet radio app includes affiliate links to the iPhone's embedded iTunes Store, enabling listeners to easily buy the currently playing song. Pandora's CTO, Tom Conrad, revealed that between Pandora's web site and iPhone app, Pandora listeners are buying approximately 1 million songs a month through their affiliate links! And of those song sales, Pandora's iPhone app is responsible for a whopping 20 percent of that! It's not difficult to see how a large customer base can generate substantial traffic to the iTunes Store, turning those affiliate links into a major revenue stream. The commissions earned from iTunes affiliate links are one of the primary sources of income for many of the social gaming platforms, such as OpenFeint (see Chapter 5), which is why they're able to provide those feature-rich gaming services for free to iPhone developers. The great thing about the iTunes Affiliate Program is that when users follow your affiliate link to the iTunes Store, you'll earn a 5 percent commission on everything they buy within a 24hour session or until they click another affiliate link. Pandora has seen many of their listeners not only buy the song from the affiliate link they followed but also go on to purchase a few other songs as well, which just adds more commissions to Pandora's earnings. Granted, your iPhone app may not have as many users as Pandora (not many apps can match that level of popularity), so let's examine a more realistic scenario. Let's say your app drives only 50,000 people to the iTunes Store every month. Even if only half of them end up buying one or two 99-cent digital items, at a 5 percent affiliate commission, you'd be earning $1,250 to $2,500 per month. That's a lot of money for doing nothing but a one-time URL change to your embedded iTunes Store links. 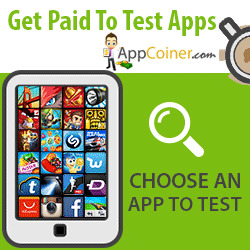 Click the Apply to be an Affiliate link, which will take you to LinkShare's sign-up form. LinkShare is the official affiliate network for iTunes, so if you already have a LinkShare account, then simply log in at http://www.linkshare.com/. Once you've completed the sign-up process and logged into your LinkShare account, there's still one more step to tackle. LinkShare is the affiliate network for hundreds of retailers, so within your LinkShare account, you're required to apply for the individual affiliate programs you're interested in joining. 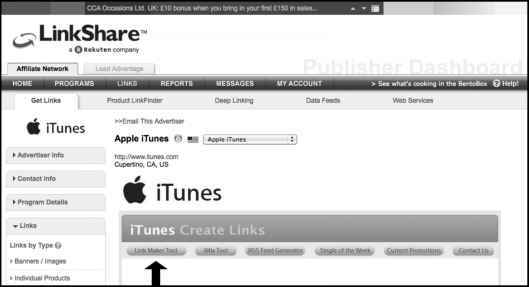 Perform a search of their advertiser network for the keywords Apple iTunes and the iTunes Affiliate Program will be displayed in the listed results (see Figure 6-17). > See whafs cooking in the BentoBox 0 Help! V ¡Tunes m»ies is the world's best digital jukebox with the #1 music download 08/25/2004 5.00% commission store inside. Figure 6-17. Alter signing up for LinkShare, you'll then need to apply for the iTunes Affiliate Program within your LinkShare account. Search for Apple iTunes, then click the Apply button. Click the Apply button, and agree to Apple's terms and conditions. Since Apple manually approves all of its affiliates, you'll need to wait until you receive approval confirmation (via email) before you can create any affiliate links. Figure 6-18. To generate affiliate links for items in the iTunes Store, you'll need to use Apple's special Link Maker Tool. Once approved by Apple as an official iTunes affiliate, log back into your LinkShare account, and navigate your way over to the iTunes Affiliate Program page. You should now see a blue "iTunes: Create Links" banner with a row of buttons underneath (see Figure 6-18). To generate iTunes affiliate links for use in your iPhone apps and web site, be sure to click the Link Maker Tool button. Do not use LinkShare's Link Builder feature. Apple's Link Maker Tool is very easy to use, allowing you to easily search for a specific product and then copy the custom affiliate link that the online tool provides. And that's it! It's really that simple. Use those special links (which include your affiliate ID) in your iPhone apps and web site to start earning some extra money for all that traffic you're sending to the iTunes Store. 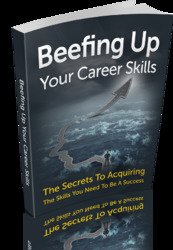 Get All The Support And Guidance You Need To Be A Success At Beefing Up Your Career Skills. This Book Is One Of The Most Valuable Resources In The World When It Comes To The Secrets To Acquiring The Skills You Need To Be A Success. How much time apple takes to approve linkshare affiliates? Does pandora commision money sending you to itunes?